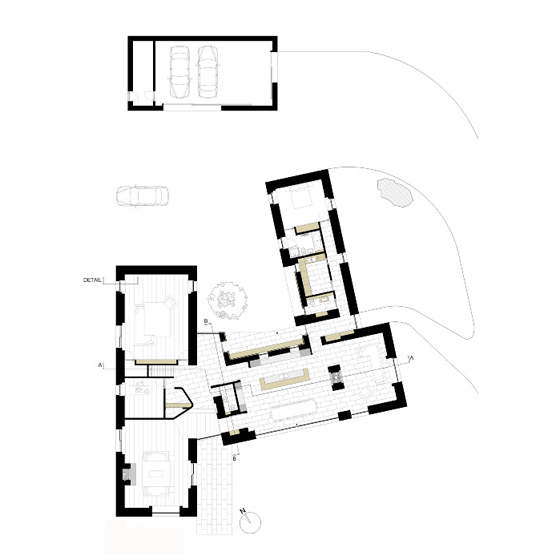 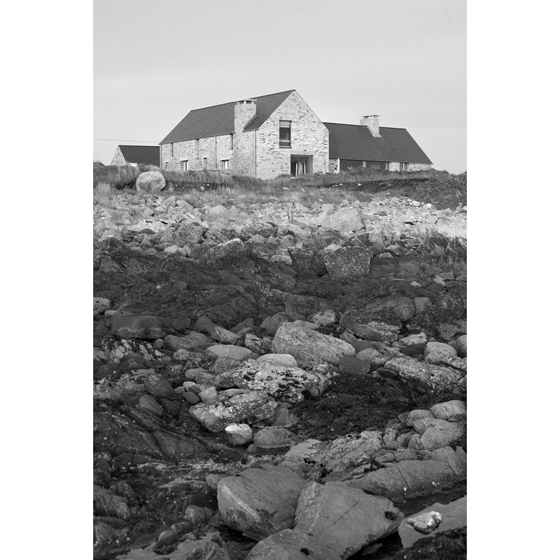 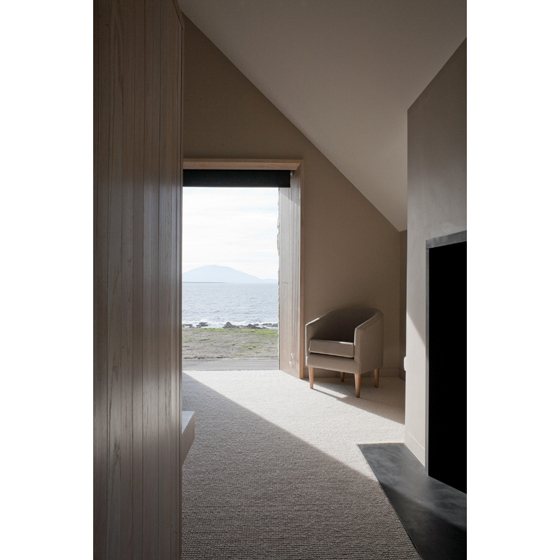 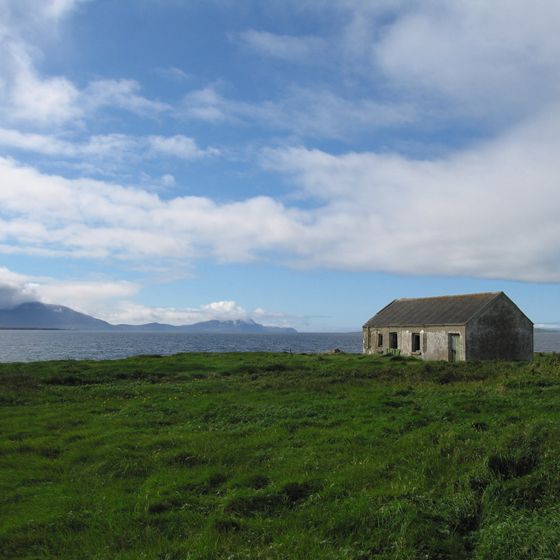 A new 400 sqm house on a dramatic site located on a remote part of the west coast of Ireland. 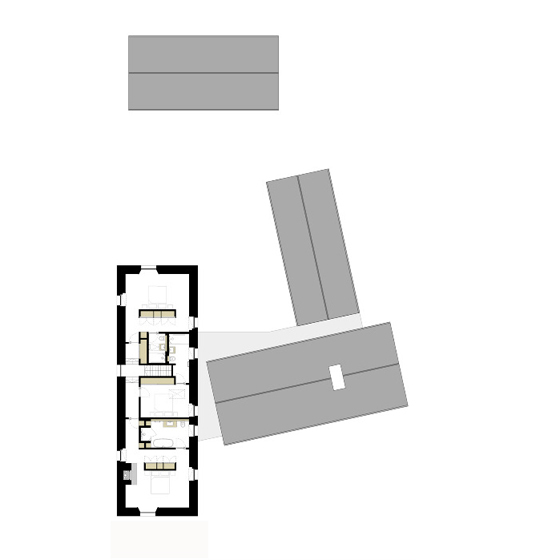 Echoing the outline of local vernacular farmsteads the building is broken down into three wings. 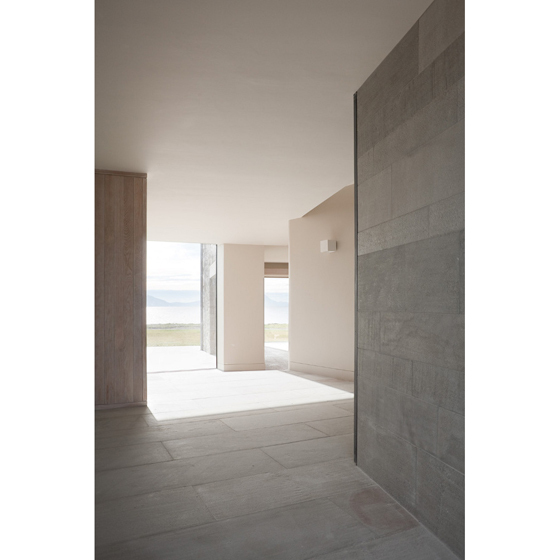 Their arrangement maximises the sea views and creates a sheltered inner courtyard protected from the harsh climate. 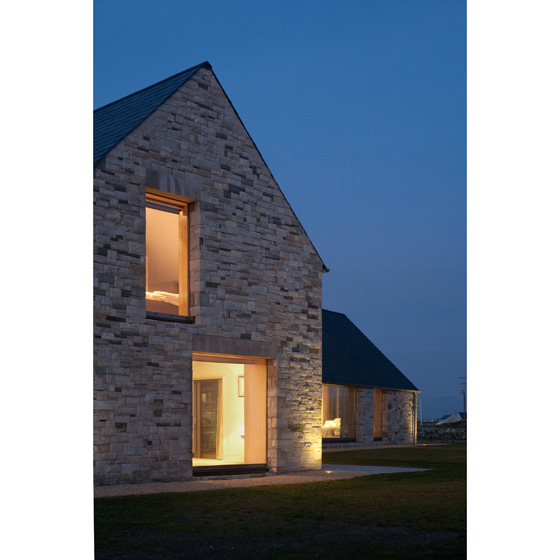 The building has been designed to PassivHaus standards combining an inner highly insulated timber frame with outer walls of sandstone. 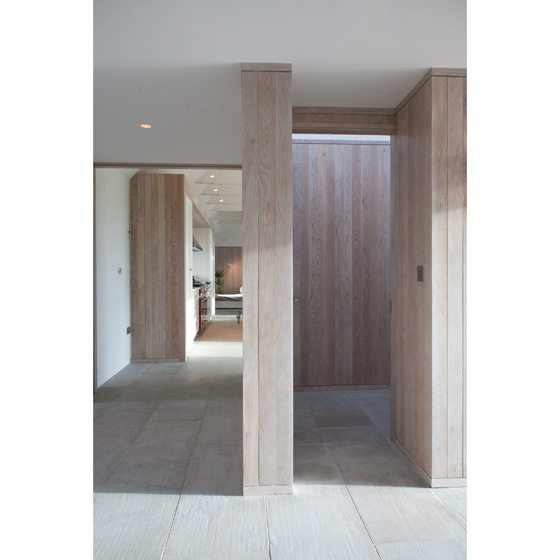 The materials selected mirror the qualities of the site and were chosen to weather and age, sandstone, limed oak, zinc. 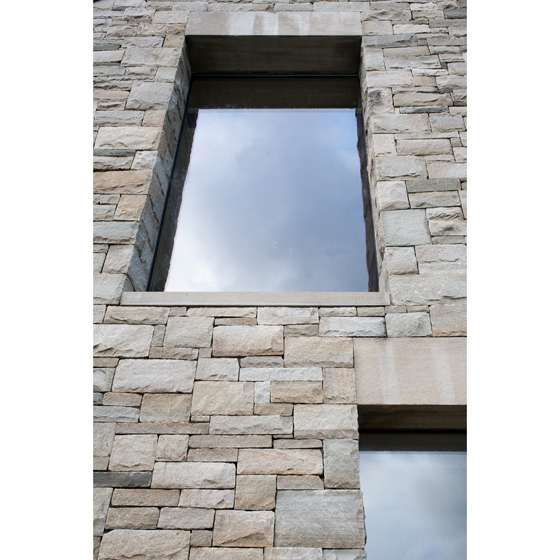 The local Lacken sandstone is as hard as granite. 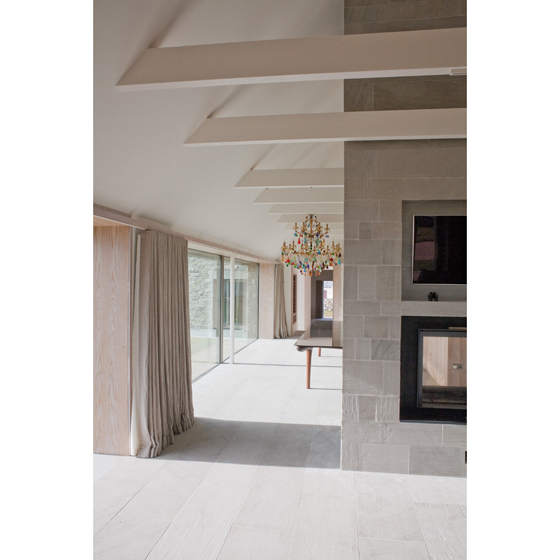 Its warm variety of tone brings continuity from exterior to interior.